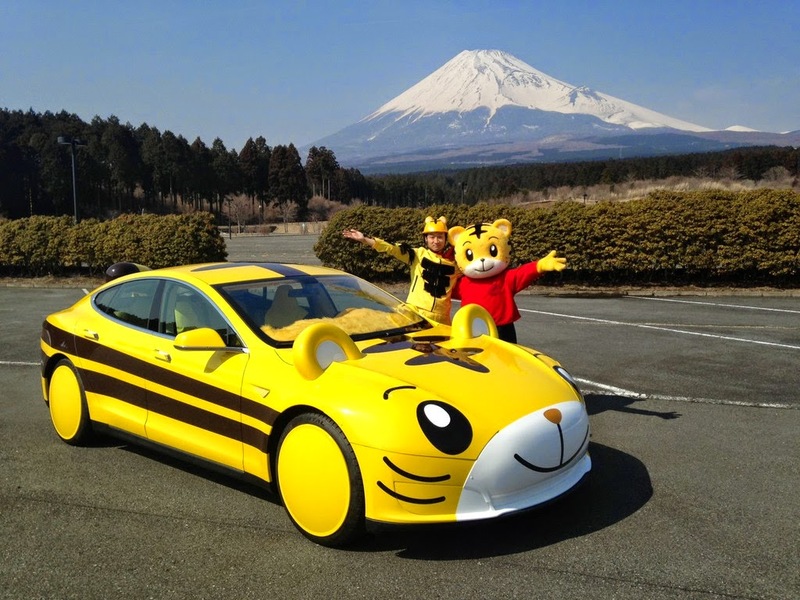 A Strange Tesla "Kawaii" Tiger Japan. The elegance, performance, technology, Tesla Model S is one of the most time views of automobiles, but when a cartoon "Shimajiro" put their hands on the electric sedan, we sink into another world. The car is not new, but impossible not to tell you. The Tesla Model S, you know? An attractive sedan born in Silicon Valley, electric motors up to 700 horses, incredible performance, road manners and a remarkable autonomy provided to 500 km. 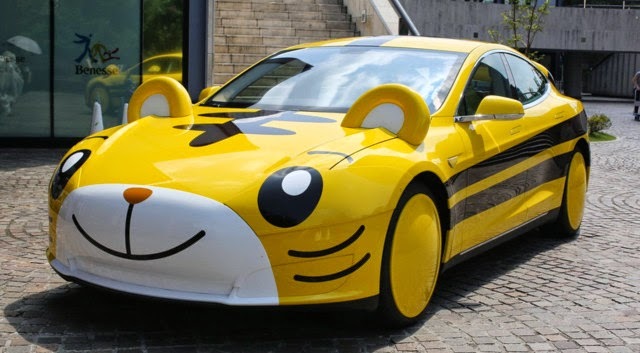 Take this car star and mix there to a Japanese series for children from 3 to 7 years and you get .... That. 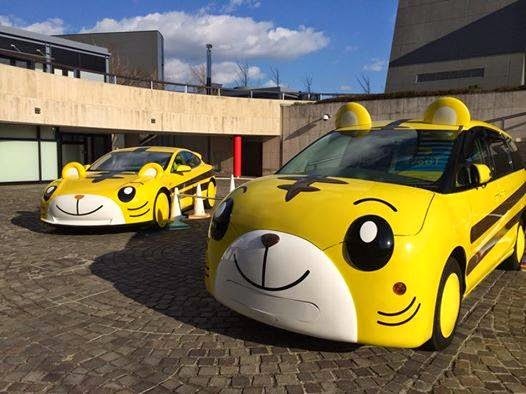 The unfortunate Tesla has been transformed into an exhibition vehicle to the cartoon Shima Shima Tora no Shimajiro whose mascot is Shimajiro, a yellow and black tiger. The series, produced from 1993 to 2008 and supporting the national program Kodomo Challenge, focuses on the adventures of Shimajiro kindergarten class, and is very popular in Japan. 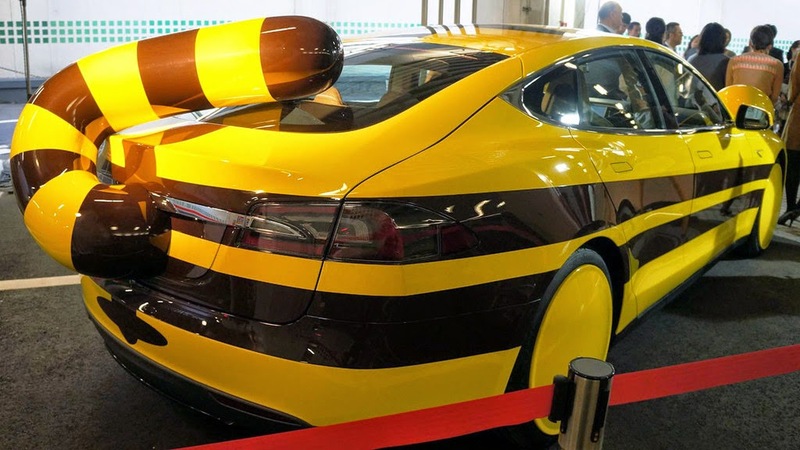 The American sedan therefore undergoes treatment "Kawaii" (cute in Japanese) with a yellow and black exterior livery, face entirely replaces facies Tesla (Dumb & Dumber way without the fur), the cap being adorned with ears and 'welcoming back ... a tail. Yes they dared. The car is exposed here in Kobe, south of the country on the occasion of an animation. And Tesla is not the only one to have been transformed - the term is correct - because there are several Toyota Previa "Shimajiro" and even miniature sell.